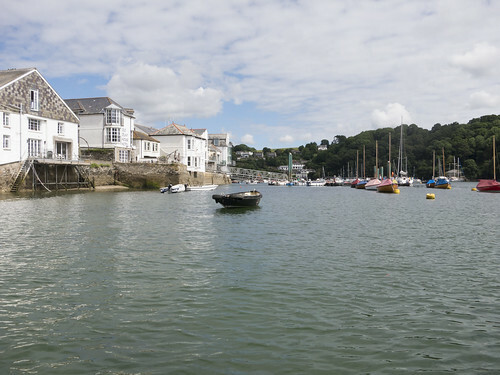 Fowey has a lot of things going for it but let’s face it, the main reason I wanted to go there was for its links to Daphne du Maurier, one of my favourite authors. 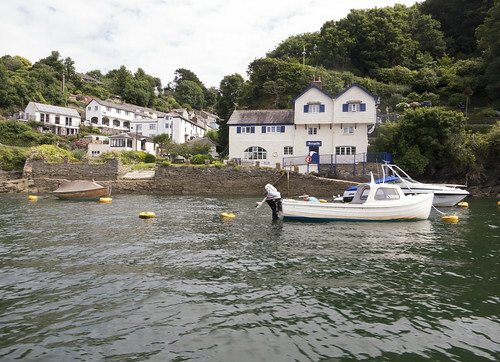 Fowey is a very pretty small town and cargo port on the south coast of Cornwall, on the estuary where the River Fowey meets the English Channel. Its centre two or three streets are packed with tourists and it has far more bars and restaurants than its own small population could support. Its steep hills afford most of the town excellent views of the water, which is always full of boats. Across the other side of the estuary you can see the villages of Polruan and Boddinick, reachable by regular ferry services from Fowey.